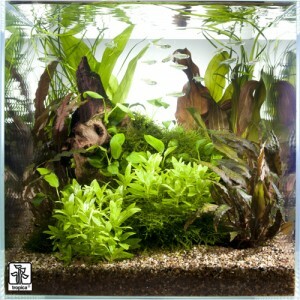 Do you love Vallisneria? Here are the top 5.
Who doesn’t like Vallis? 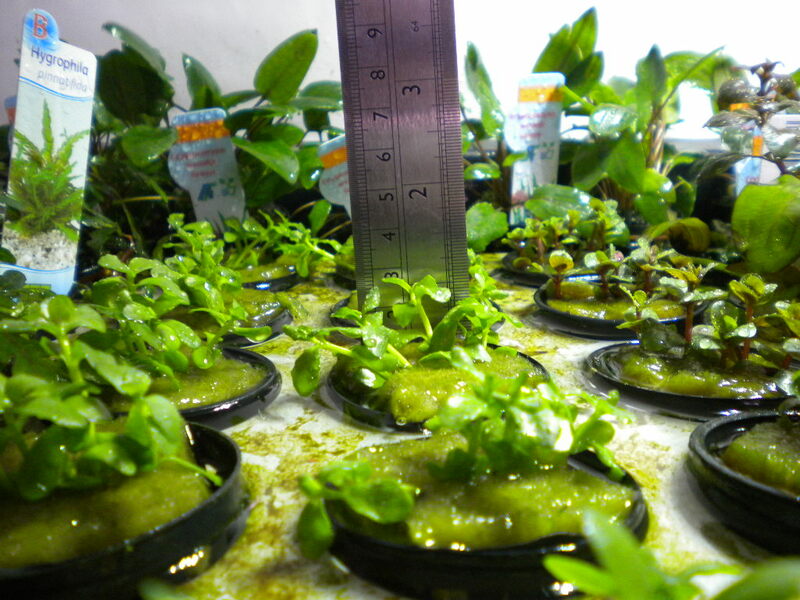 If I cast my mind back it was one of the first plants I grew extremely well by doing…nothing. In fact it grew like a weed and provided a wonderful curtain effect that made me feel like a pro 🙂 I’m not sure which specific Vallis it was but it was dead easy. 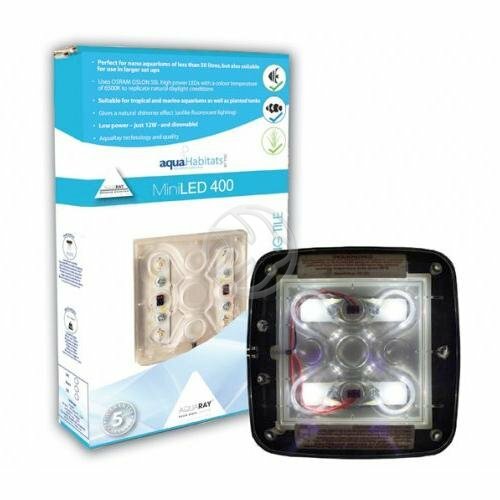 In fact the entire Vallis range is very simple to grow and unless you have very soft water you won’t have any problems. 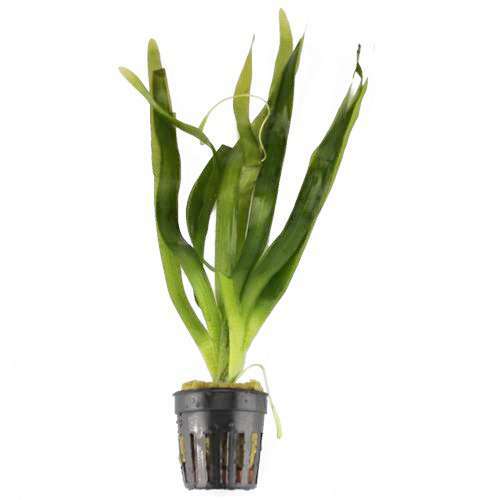 Vallisneria gigantea rubra – large thick and wide leaves that grow fast. Great for bigger tanks and the leaves can grow up to about 2m (impressive heh!). 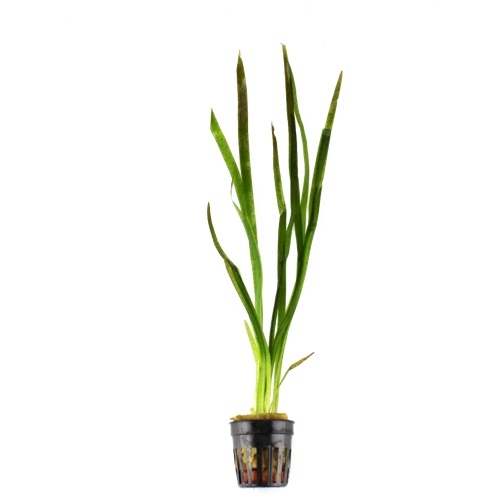 Vallisneria spiralis – suitable for beginners and up, this plant has narrow long leaves that look rather attractive. 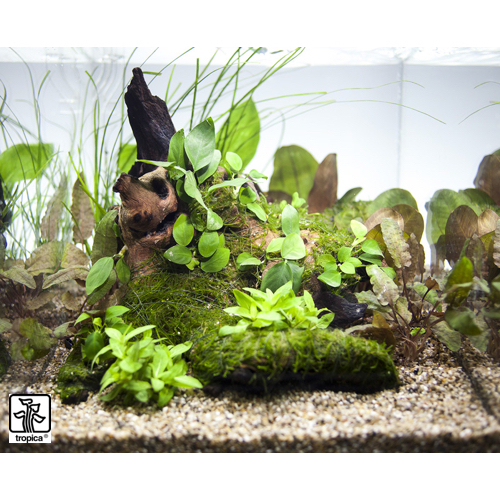 Grows in pretty much any tank. Vallisneria spiralis red – just like the plant above but with a red tinge. A bit slower growing though. Vallisneria torta – the smallest of the Vallis, this rather neat one tends to stay quite small as the leaves twist as they grow. Also great for beginners and up. Vallisneria nana – the narrowest of all the Vallis, the leaves are a few mm thick. This makes them sway delightfully in the current. Not such a fast grower but very easy on the eye. 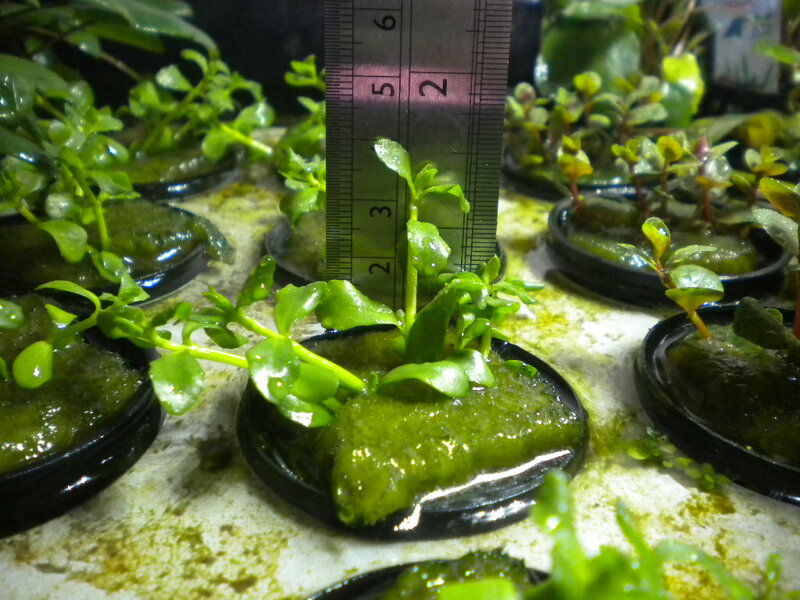 Just in case you’re not aware, Vallisneria do not appreciate liquid carbon. It can make them melt so best to avoid adding it. 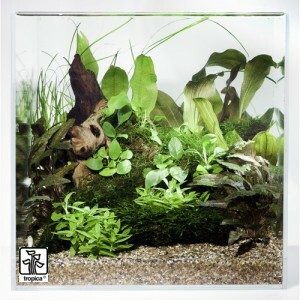 I really love this tank, not only for its simplicity but also because it’s predominantly made up of plants on wood. This style and choice of plants always means you can create an aquascape very quickly. 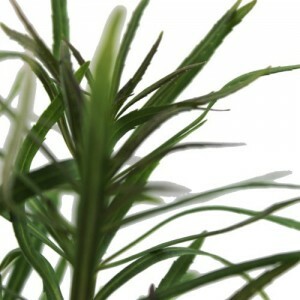 Let me know what you think and to see our plants on wood range see here. Have you seen these plants before? Found in the rice fields of Asia the Murdannia ‘keisak’ is a stem plant from the bamboo family. 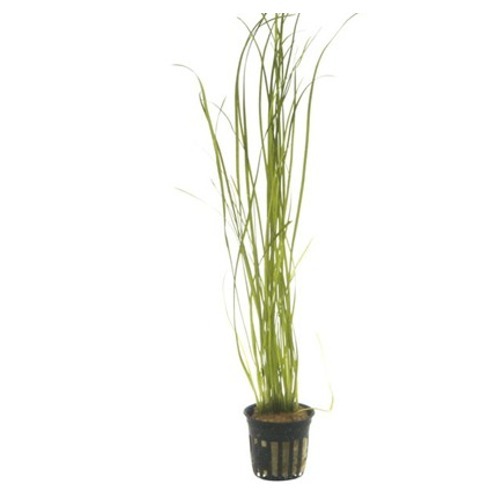 New in to us from Tropica, they describe this plant as easy to grow and unchallenging. We’re yet to give it a whirl ourselves but it looks the business. 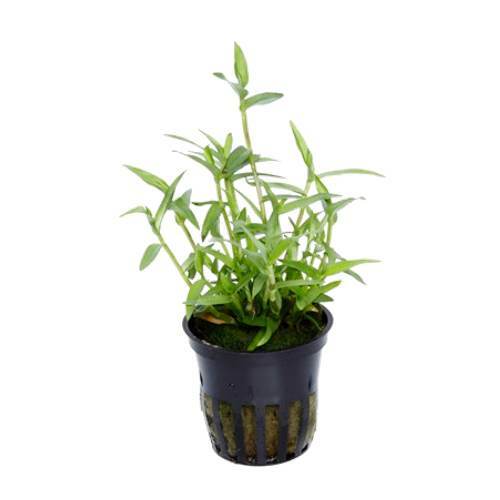 Originating from North America the Penthorum sedoides is a low maintenance, easy growing stem plant. 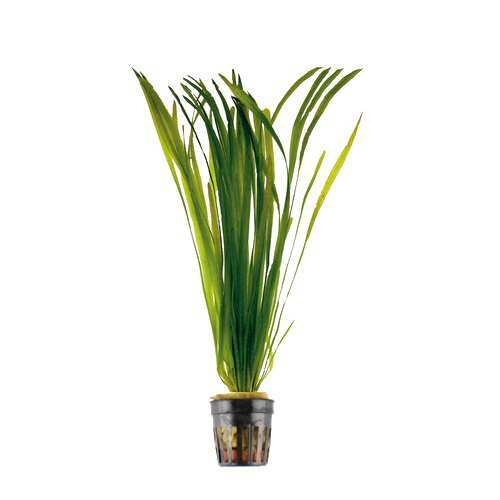 Another new plant from Tropica. 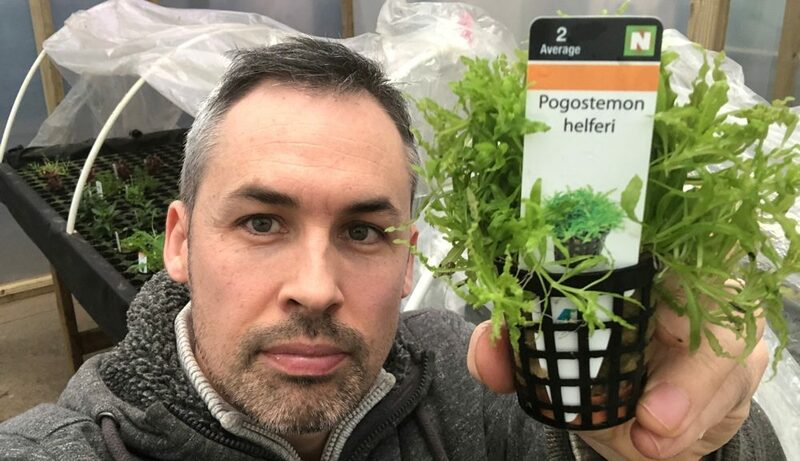 Seems like they do the sourcing of this plant and then other growers jump on their ship. I might be wrong though (just seems like that). Anyway, looks pretty cool. Which plants will my fish not eat? I was asked this question twice this morning – not sure why but felt it promoted a quick blog post. I know which choice I would have! 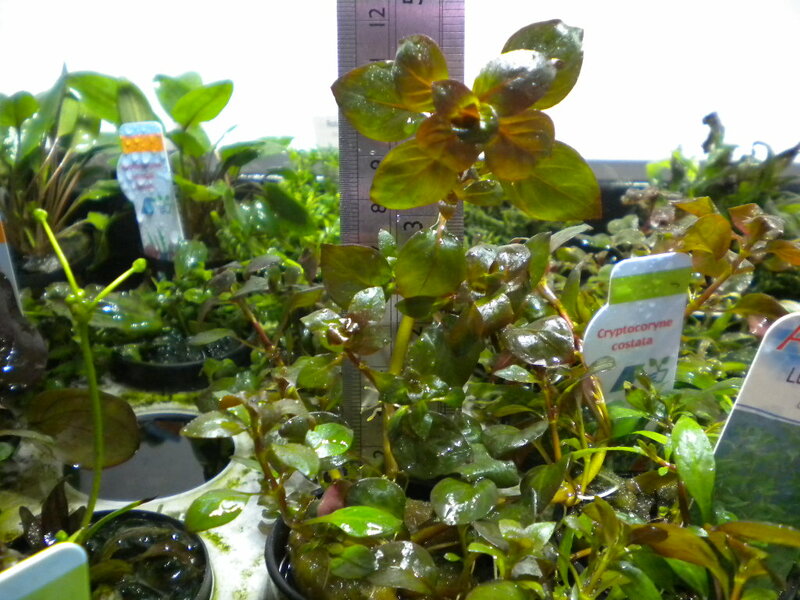 But if yours is the second option Anubias and Microsoriums are the only species of plants I know that tend to be avoided. 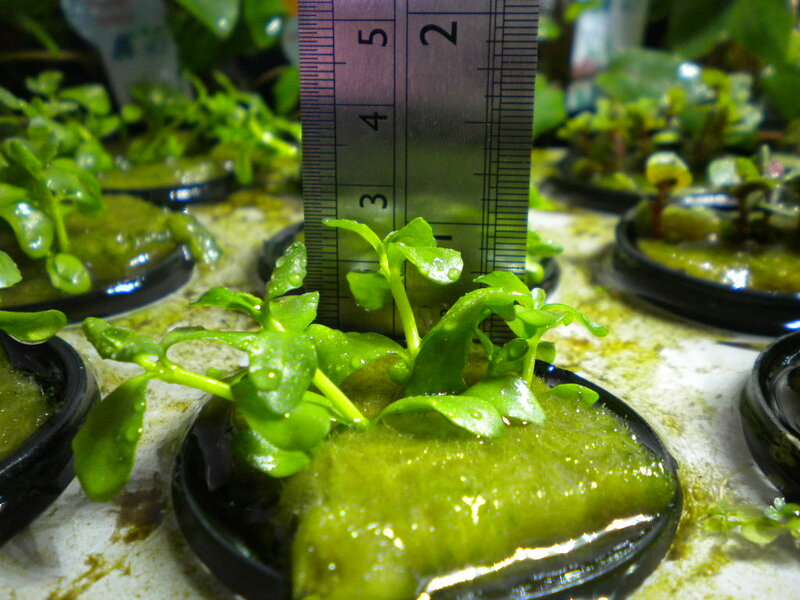 These plants either taste horrible or are simply too tough to digest. Who knows which one! 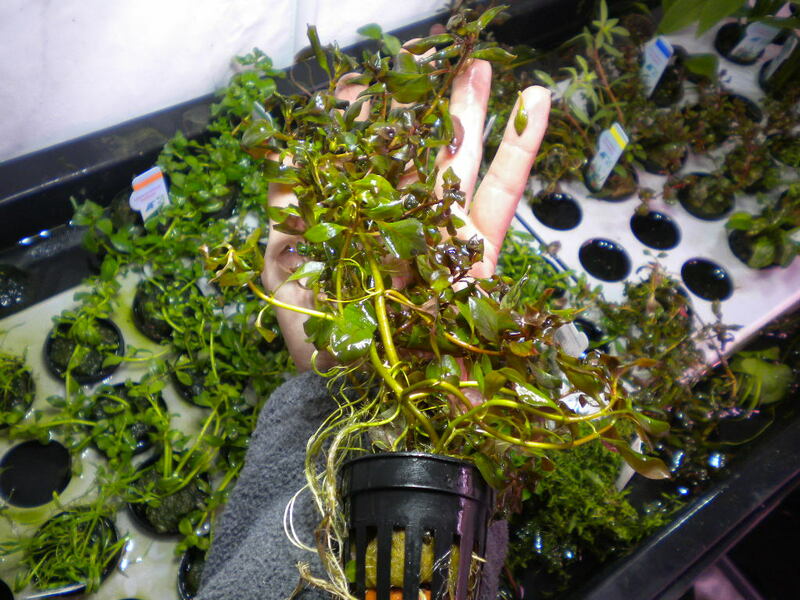 You can find all the anubias here and the microsoriums here. 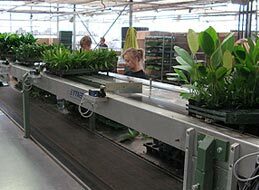 So your wonderful plants have arrived from us and you’re wondering (perhaps) what to do with all the cuttings/trimmings you get from your plants. 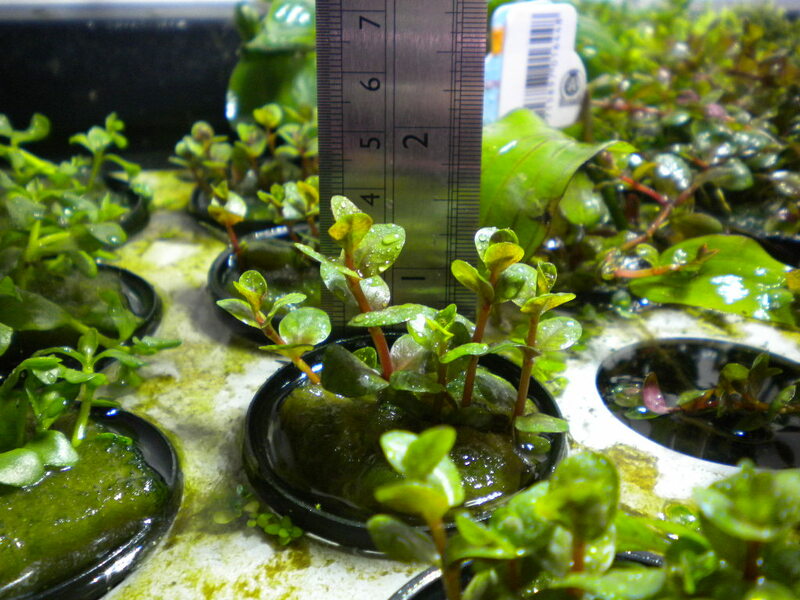 Some will grow really fast and rather than chucking them in the compost bin, you could propagate them. 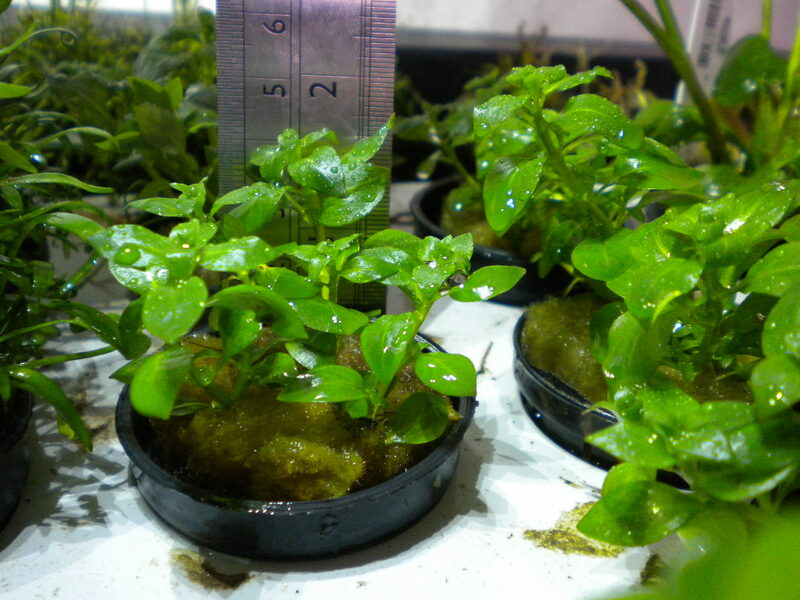 This is essentially what commercial growers do and what you can do too – it’s fairly simple for plants that live under water (above water is slightly harder but that’s something for another day!). 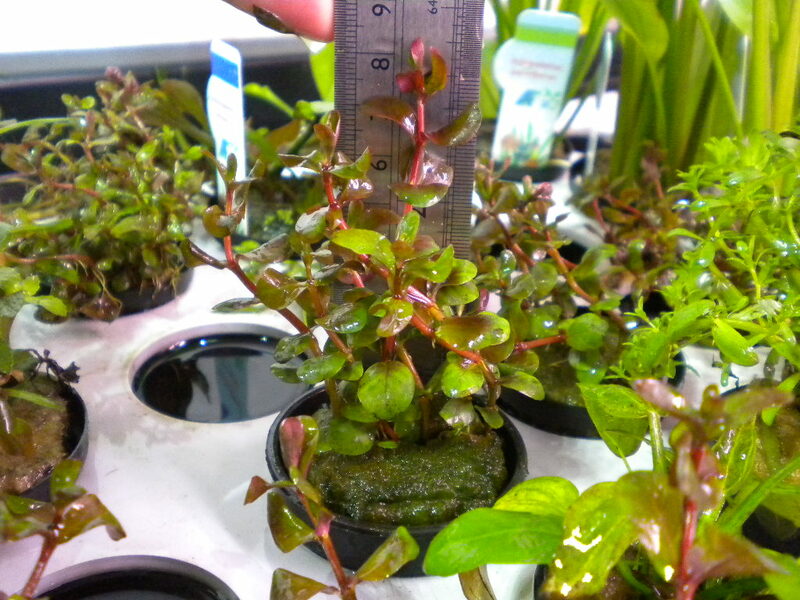 Let’s assume you have a nice stem like this one (Alternanthera roseafolia). This plant grows pretty quickly and as soon as it’s getting a bit too long, hack it in half and I mean literally in half. Chopping it 50% at a time makes the plant grow very bushy and more attractive, and whatever you trim back simply plants straight into the substrate – it’s as simple as that. 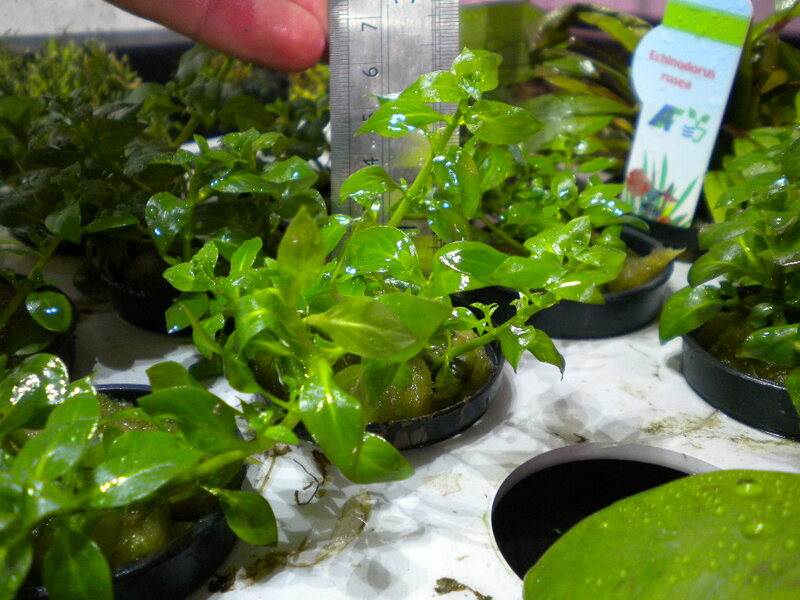 You can take cuttings from the side of stem plants but they are never as strong as the one’s from the top. Wherever you do trim, you’ll get a couple of buds forming there and this is why the plant can become very bushy as every time you trim, two more buds form. 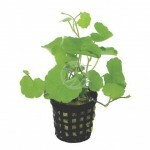 Other plants will have what’s called Advantageous Plantlets. 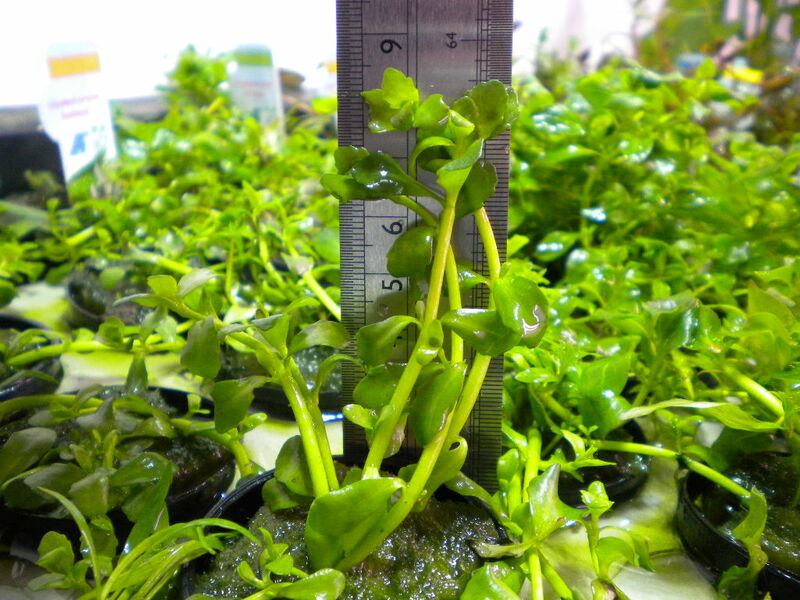 This asexual reproduction occurs when small plantlets form on the main plant – I see this quite a lot with plants from the Bacopa family. Let them grow for a while so they are a good couple of inches long and then cut them off with a pair of scissors and replant. I’ve found if you do this when they are too young and too short, they melt and die so give them a bit of time to grow and get strong. 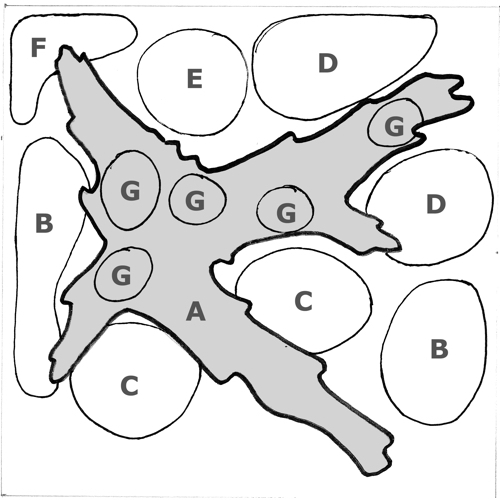 Another asexual way of reproduction you may see with your plants is what’s known as offsets. 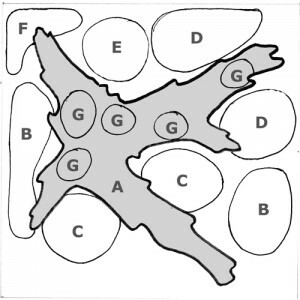 This very simple method is similar to runners (which is when the plant literally throws off runners), except offsets grow off the main part of the plant but in particular , exceptionally close to it – they don’t wonder like runners do. 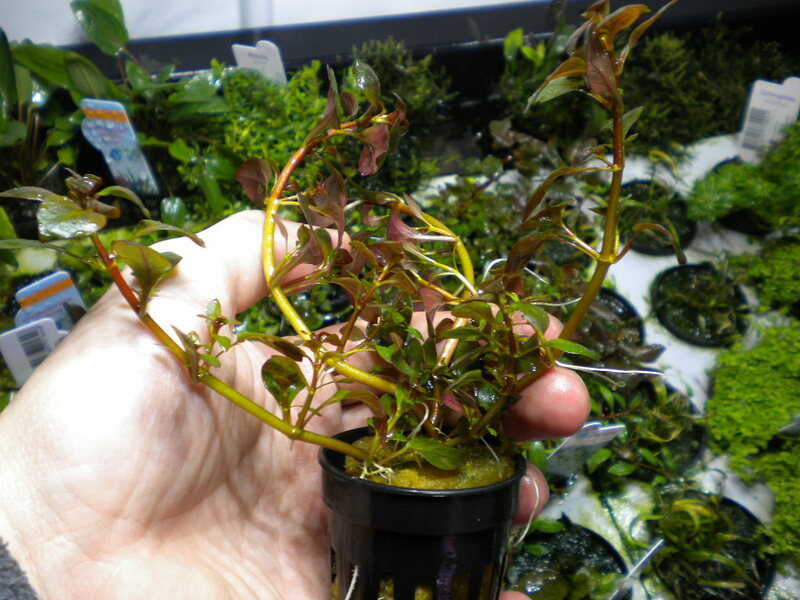 You can pick offsets off the plant and then place them into your substrate and away they go! Again, don’t pick them when they are too young as they may die off. Similarly if you let them grow for longer they quite often fall off on their own, land in the substrate and then start growing again. I was so pleased this morning coming into work to find this incredible plant flowering. Bare in mind the temperature outside is very cold today (-1! ), I never expected anything like this. As you can see it’s super happy and so am I! We’ve been working very hard at improving conditions all the time and it’s beginning to pay off. 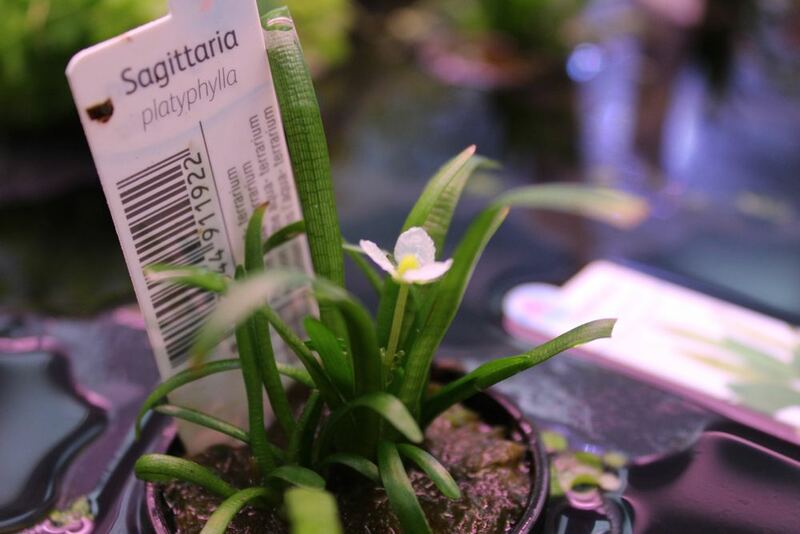 The plant is called Sagittaria platyphylla and it’s a super little foreground plant with lovely green leaves. What do I do with my potted plants when they arrive? If you ever wonder whether to leave your plants in their pots or not, this short video below explains what you need to do with them. In short, remove them from their pots! Enjoy. 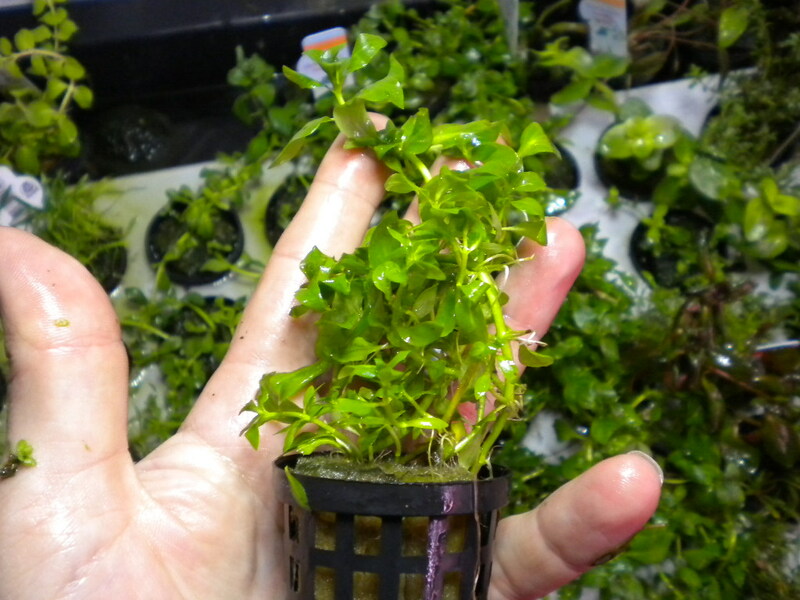 What’s in your mixed boxes of potted plants? 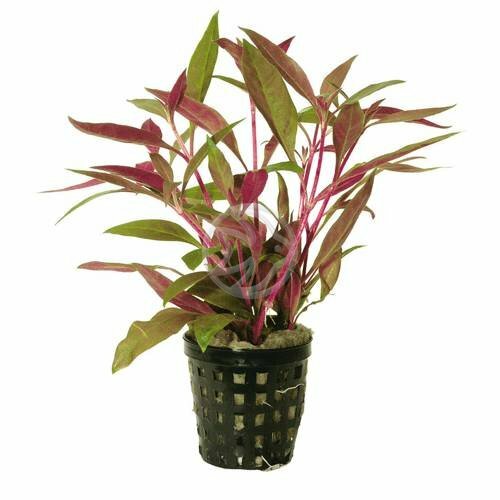 The whole idea of the mixed boxes is that you, the customer, get a great selection of plants that are typically fast growing and will take readily in your aquarium. 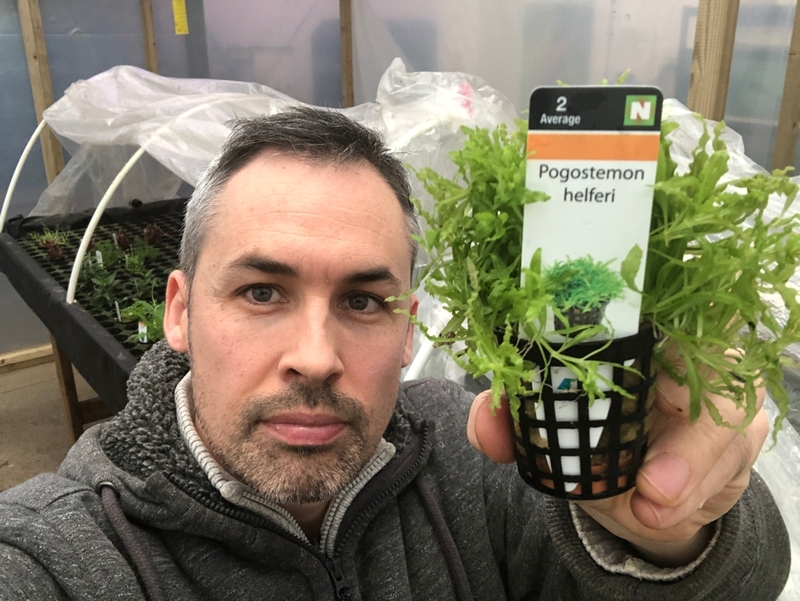 We know how daunting it can be if you are new to plants about which one’s to choose, will they look right, do I have the right quantities etc etc. So the hard work is all done. 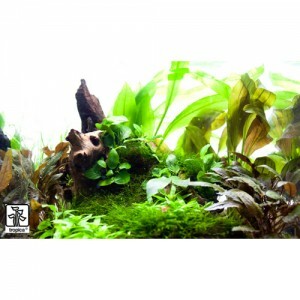 Now if you want specific plants which I know you sometimes do, then it’s best to buy those separately. 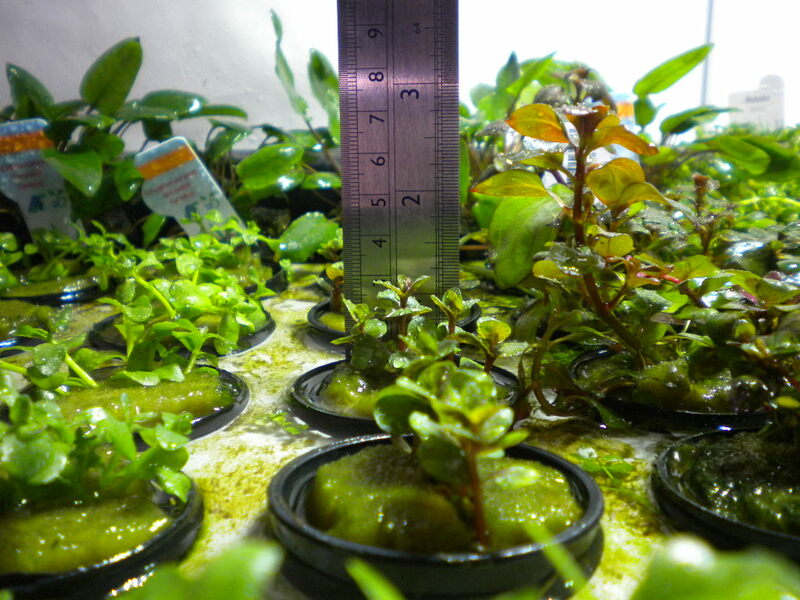 But just to make it even more simple, all you need to do is work out the size of your tank and then choose the mixed box of plants to suit. It’s as easy as that! 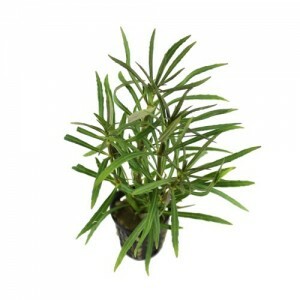 Oh and one last thing, don’t forget your fertiliser and I recommend Neutro T.
How about one that can grow on bogwood? Imagine this plant sat next to a lovely anubias. The leaves complement each other and the two greens are the perfect match. 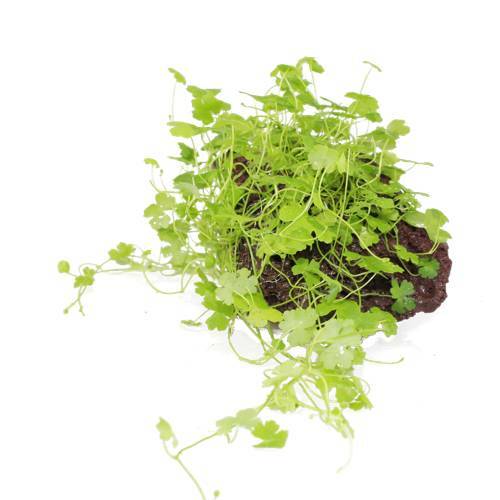 What about a plant that can grow on the substrate and create a carpet if you cover it with gravel or substrate? This plant is just SO VERSATILE! It genuinely is this flexible and it you’re going to love it. 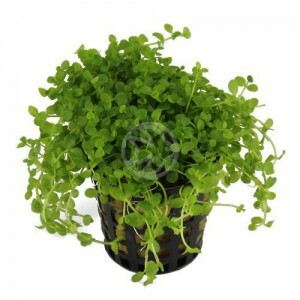 Great for beginners, experts or those of you who just want a trouble free plant. I stumbled across the YouTube clip which demonstrates perfectly how to trim this plant. It’s easy when you know how isn’t it 🙂 If you’re after a pair of scissors which feature in this clip, we call them Aqua Essentials Pro Scissors Wave and you can find them here. 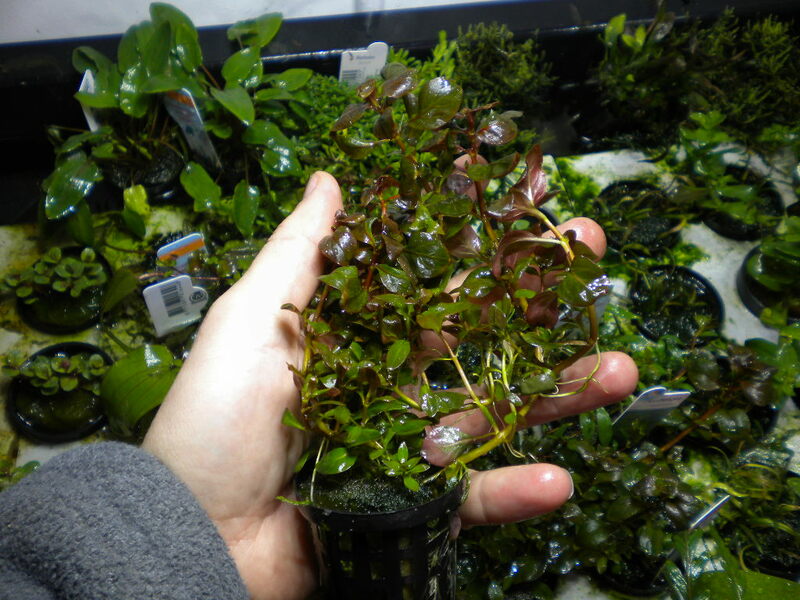 Aquafleur Plants – and a video!! We’ve been a big fan of Aquafleur plants for a long time now. 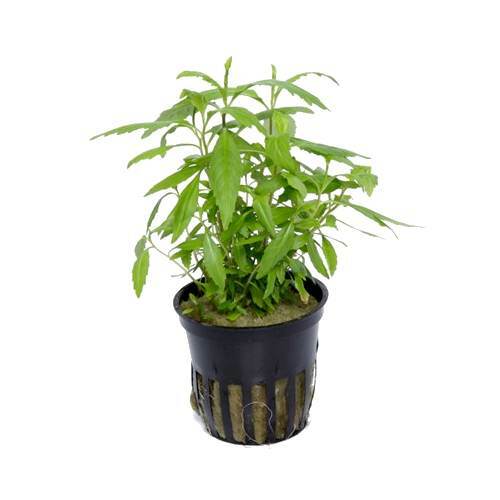 Not only are they great value for money, but they’re darn good growers of plants too. I knew they were a pretty extensive organisation and they’ve recently produced a video that is well worth a watch. Now I know you’re busy, but it’s only 4 minutes long and is a super watch detailing their premises and the plants they grow along with how they grow them. It’s fascinating to see how some plants are sprayed really intensively (you wouldn’t want to be stood under it when it happens) and others are sprayed for less than 1 second. I wonder how they know this and what the time is from spray to spray. 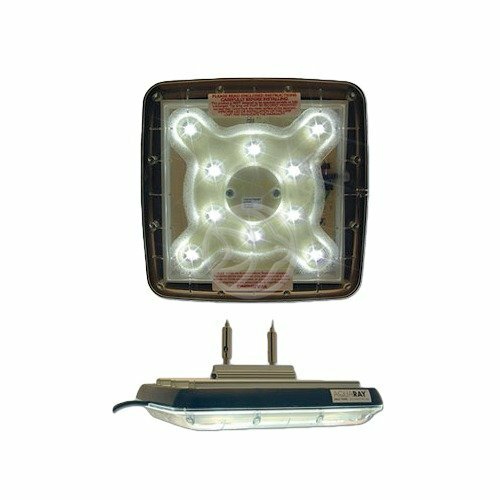 Do you know – if so let me know!? Anyway, you can see their video by clicking here and then clicking their video on the top right of the screen. 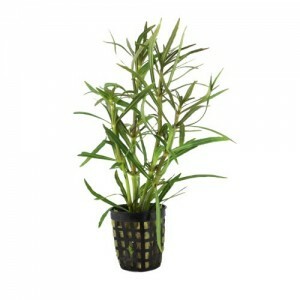 I would love to hear your thoughts on it and don’t forget our range of Aquafleur plants can be found by Potted Plants. It’s that time of year again so this is a fantastic opportunity to get hold of some quality potted plants at a discounted rate. Of course, these prices won’t last long but if you were thinking about getting your tank looking in tip top condition so all your relatives and friends could see, maybe now is a good opportunity. Large selection at super prices. 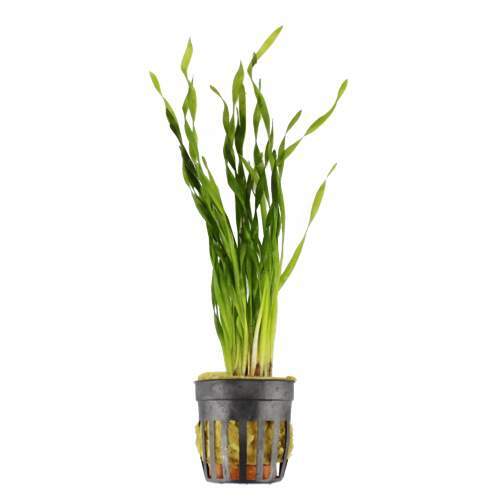 Check these deals out by clicking Aquatic Plants On Sale.